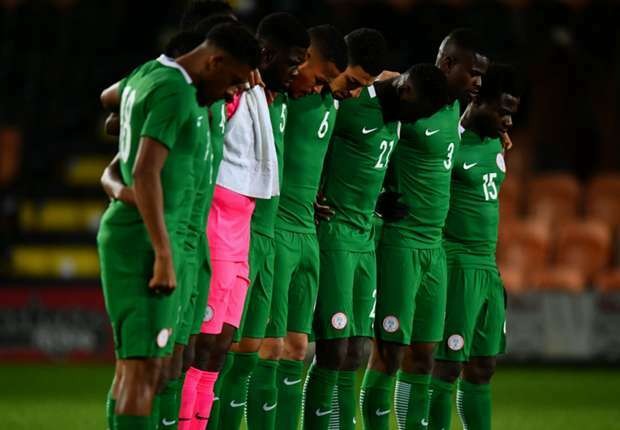 Christian Chukwu, a former Super Eagles Head Coach, on Friday urged the Super Eagles to see every opponent as a threat at the 2018 FIFA World Cup in Russia. Chukwu made the appeal in an interview with the News Agency of Nigeria (NAN) in Lagos following the Russia 2018 FIFA World Cup draw of Friday in Moscow. Nigeria’s Super Eagles will be playing in Group D alongside Argentina, Croatia and Iceland. “There is no problem, it’s a good draw. If we want to be champions, we must be able to face any country. I’m not even afraid of Argentina, but I’m afraid of the other countries in our group. “We should not underrate any country. Every opponent is a threat, and we shouldn’t look down on any opponent. “They all pose a threat to our success at the tournament,’’ the former Green Eagles captain said. Sharing the same views with Chukwu was a former teammate of his, Felix Owolabi, who told NAN that every country which made it to the World Cup was a potential winner. “As long as we are well prepared, there is no need to be afraid. For all the countries to have made it to the World Cup, it means we are all potential winners. “They (the Eagles) should prepare well and study the other players. We should understand and study their pattern of play and ensure that we map out a strategy for each member of our team. “I believe we will have a good outing at the tournament as long as our boys stay fired up,’’ he said. NAN reports that the Super Eagles defeated Argentina 4-2 in a friendly match in Russia in November.